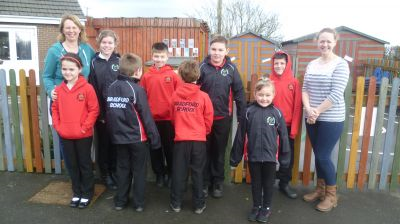 Friends of Bradford School are delighted with the very generous donation of £600 from 'The Balsdon Trust in Holsworthy', for the purchase of further Hoodies and Waterproof Jackets. This will enable all of the children and teachers within the school to be able to wear them on various School Trips and many Sporting Events. 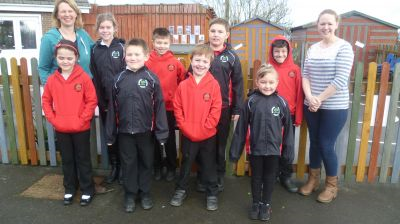 The children feel very proud when wearing them as they look very smart, and are easily recognised as each item of clothing has 'Bradford Primary School' embroidered on the reverse and the School Logo on the front. With the children in the photo are Lia Painter a representative from 'The Balsdon Trust' and Tracey Lucas Chairperson of Friends of Bradford School.